When my manager asked me if I wanted to travel to Los Angeles for a couple of weeks I had to try my hardest to contain my excitement. Essentially you're going to pay for me to go to LA and work, but in my off time I get to train at some awesome academies. And that's exactly what I did. 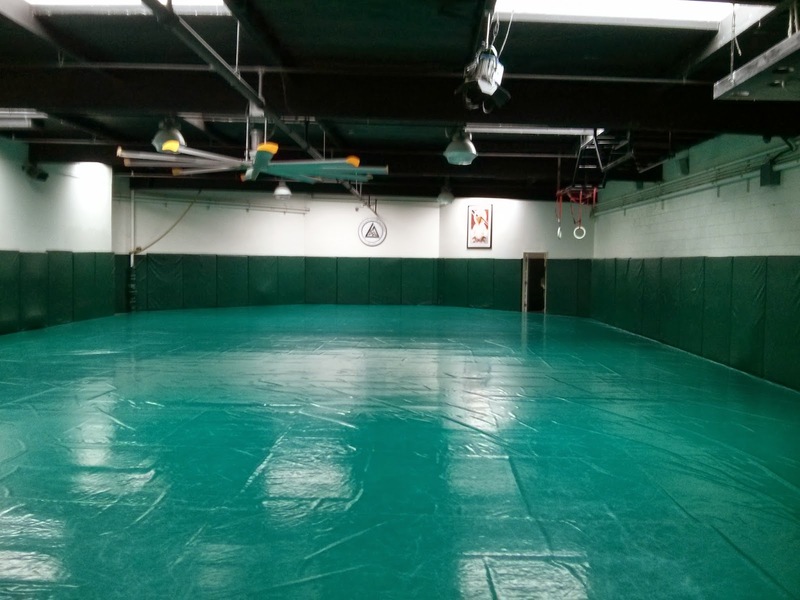 I went first to Kron Gracie's academy. My Professor, Rodrigo Vaghi, knows Kron and Kron's father (The legendary Rickson Gracie) very well. It seemed to be a given that I would have to stop in at least once or twice during my trip to show respect. I had sent numerous emails, left many voice mails, and none of them were returned. Why am I even bringing this up? Well, that's easy. It's all too often I've dropped in at an academy only to find out their fees are too high, that I can't wear a certain colour of uniform, or that I can't wear my Team Vaghi patches into their academy. This is a very rare thing, but it's the reason I have uniforms that are blank. Well, I show up with my white gi that has Team Vaghi patches, go through the waiver signing, giving my info, and as I'm getting ready to pay the drop in fee (something like $50-60) the front desk guy says "Oh, and by the way, you can't wear another academy's uniform in here". I take a deep breath, look at the gentleman and ask "Are you positive about that? ", to which he replies "absolutely". I thank him for his time but state that "I will respectfully have to decline" and promptly walked out. I was a bit upset about the whole thing. But at the end of the day I may not have ended up at the Gracie Academy or at Master Caique's school (that will be in the next post). 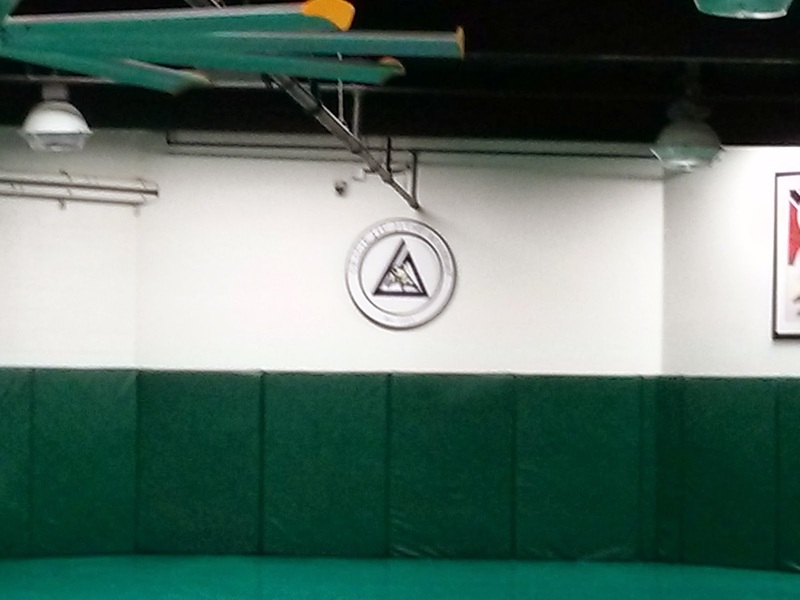 So what's a trip to LA without hitting the Gracie Academy in Torrance? Well, if you're an avid BJJ player the trip wouldn't be complete without a visit. The Gracie Academy gets a lot of flack concerning their Gracie Combatives training, and even more for their Gracie University online training. In a nutshell, I would recommend anyone who is against the Gracie Academy to go and check it out in person. I took the trip out to the Academy on a day after work. It was a bit of a drive, about an hour to and from my hotel. The place is very easy to find, even more so with GPS. I was only able to see one parking lot, which was right in front of the school, and wasn't overly large (20-25 car slots). If I remember correctly there was off street parking out front also. The Academy doesn't look very large from the outside. It's not until you walk in that you realize the place is actually pretty damn big. The front lobby was exceptionally nice, Bubba Gracie was there to greet me, a nice "pro shop" of different Gracie gear, and most of all...the museum! 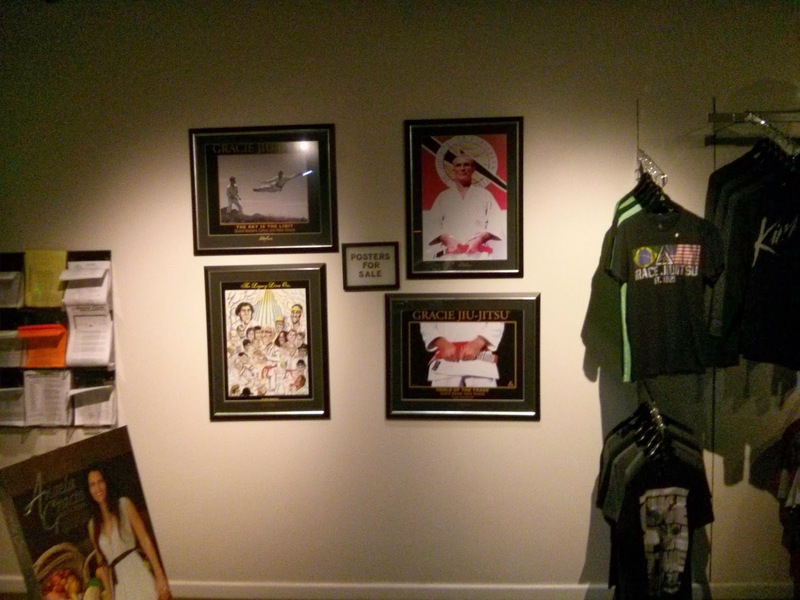 Yes, there is a Gracie JJ museum inside the Gracie Academy. As far as I know, anyone can walk in and check it out for free (worth doing). So I sign the paperwork, pay the drop in fee (I believe it was $40 also for the day), change into my home academy white gi, and go out to stretch. Walking into the mat room is pretty interesting. There are 1 of 2 private training rooms you will pass by on your way to the main room. The main mat room is pretty large, I'd say you could have 100 people rolling pretty easily during a class and be safe. As you can see, it's a pretty large area. While I was there I tried out a couple of the Gracie Combatives classes. Part of the curriculum for the Gracie students is that they much take the 36 lessons of Gracie Combatives twice before they are allowed into the "Master Cycle" classes. From what I've seen, the Master Cycle is pretty much like an advanced blue belt and above class anywhere else I've been. The classes start up with a light warmup consisting of jogging, skipping, "picking up change" (or changing levels while running), some yoga like techniques at the end of the warmup. One thing I did notice during the combatives classes is the extreme focus on self defense, which I rather enjoyed. It's interesting to have someone in my guard throwing punches at me, it means I need to change away from what I would normally do in order to protect myself from being hurt or knocked out. The combatives classes, for a blue belt that has never taken one of these classes before, was a bit odd. I don't know their nomenclature for certain moves and positions, but picked it up pretty easily with the help of one of the instructors (T-City), and even Rener gave me advice as he was walking around. The night that I went for one of the Master Cycle classes, I thought Rener would be teaching. 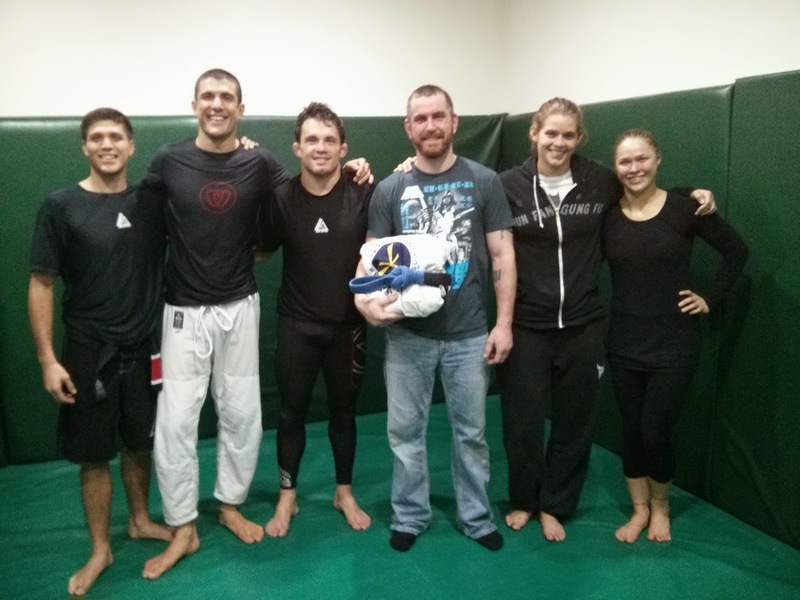 Towards the start of the class I see Ronda Rousey peek her head around a corner and then Rener disappeared. I looked at my training partner and said "Was that Ronda?" "Yeah, she used to train with the regular class on Thursdays, but Rener want's to train her privately." The class was pretty normal for the most part, showing a position and ever so slightly adding more and more to it as the class went on. Another thing I noticed is that the position/move pretty much stays the same for the week. So folks on Mondays are getting the same instruction as folks on Thursdays. There was also nothing flashy, it was all very basic things and small changes to those basic things. I don't have my notes of the class with me, so I won't be covering what I learned during class here. I did get the opportunity to roll with Rener. I've got nothing but good things to say about the experience. The man is truly talented. I never once felt comfortable during our six minute roll. It's rarely that I feel as though I can't pull something out to surprise someone. He was constantly 3-4 moves ahead of me, like a spider spinning a deadly web. As we finish the round out, Rener says "Well, how was it?" "Man, that was fantastic, I wish I would have had that on video!" Rener laughs, looks at me and says "Naahh, we will keep it between you and me!"